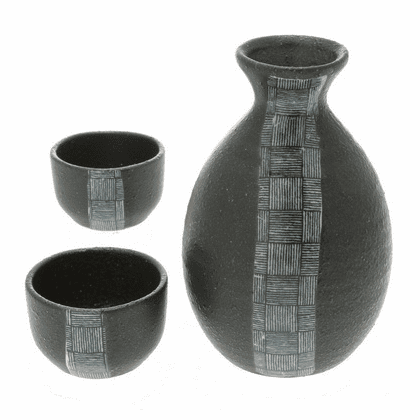 Karatsu weave ceramic sake set. Bottle is 3-1/4 inches in diameter and 5-1/8 inches tall and and holds 10 ounces. The two cups are each 2-1/8 inches in diameter, 2-1/2 inches tall. They hold 2.0 ounces each.